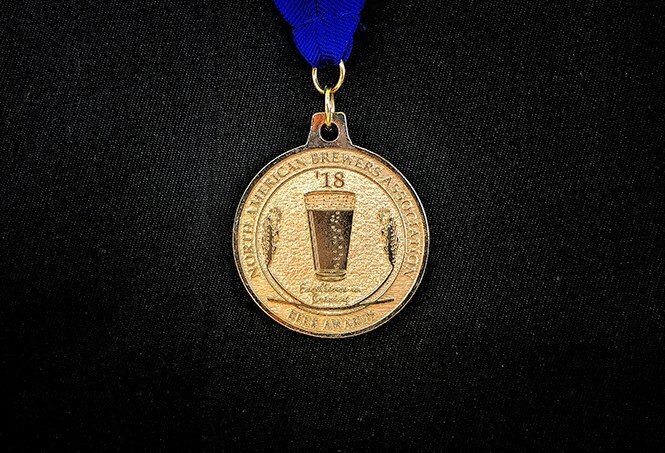 Utah breweries place well at North American competition. I had the pleasure of serving as a judge at the North American Brewers Association's beer competition last month. One hundred-twenty-three judges analyzed 1,777 beers entered from 253 brewers from all over North America. Utah did extremely well; here's what medaled from the Beehive State. Bohemian Brewery: Gold—Bohemian Dortmunder: Sweet, lightly-toasted malts/grains, followed by honey with mild bitterness from the noble hops. Grassy and very light citrus. Crisp and clean. Silver—Bohemian Czech Style Pilsner: Hints of pine shine through. On the taste, it is a clean and crisp drink with a lingering bitterness. It is fairly dry and a bit hop-forward for the style. Gold—Cottonwood Common: Starts off with a mix of caramel and toffee malt notes as well as citrus, floral and earthy hops. There is a bit of spicy breadiness in there as well. Bonneville Brewery: Bronze—Antelope Amber Ale: Toasted grain, bread crusts, toasted nuts, a sort-of doughy malt, plus an apple flavor and nice grassy, floral and earthy hops with a spiciness that is just right. Epic Brewing Co.: Gold—Brainless Belgian-Style Golden Ale: Toasty malt with candy sugar, light under-ripe banana and spicy pepper followed by light floral hoppiness, finished with some boozy warmth. Bronze—Epic Imperial Stout: Roasted malts, slightly burnt smokiness, dark chocolate and coffee, followed by dark fruit sweetness of plum and prunes. Finishes fairly boozy. Hoppers Grill & Brewing Co.: Gold—This is the Pilsener: Herbal hops kick things off and grainy malts follow. The hop tastes turn grassy about halfway through, creating a dry finish. Kiitos Brewing: Bronze—Wheat Ale: A crisp wheat flavor mixed with a light lemon flavor. Some yeast, along with a bit of hay and grass, work their way onto the tongue toward the end. Moab Brewery: Silver—Moab Especial: Light caramel and toasted malts are present with notes of lemongrass. The finish is moderately dry with a dry piney finish. Proper Brewing Co.: Gold—Proper Beer: The Belgian yeast hits first with cloves and light banana, followed by some lightly tart hay and grass. The dry finish makes it extremely light and drinkable. Silver—Tripel Stamp: The initial taste is almost banana-like, followed by herbal notes and a nice semi-sweetness throughout. It's a fairly complex taste. Silver—Mabon: Banana and clove flavors dominate and work well with the sweet malt flavors in the lager's base. These creamy elements provide a full-bodied feel. Red Rock Brewing: Silver—Secale: Malt forward with some spicy rye and residual fruitiness. These flavors work in concert with the vanilla and barrel flavors from the rye whiskey. It has a spicy and rich finish. Bronze—White Rainbow: This White IPA has strong orange and citrus up front, with a healthy dose of lemon zest and coriander. As you get mid-palate, it becomes slightly spicy and sweet. RoHa Brewing Project: Silver—Kensington: Toasted grains and burnt caramel lead things off, as charred cracker, musty hop notes and citrus rind balance it out. It ends with solid clove undertones. Shades Brewing: Bronze—Kviek No. 1: Sourness dominates the flavor with lemon and herbal notes and berry skins. Some citrus flavors, then piney hops and grain slide in for a dry finish. Silver—Misconception: Redolent of clove and caramel along with citrus and herbal hops. Medium booziness. Uinta Brewing: Silver—RS Ale IPA: This session IPA has a light body that's dominated by citrus peel and pith along with light caramel. Bronze—Grapefruit Hop Nosh IPA: Grapefruit juice adds a nice freshness to this fruited IPA, which plays off the citrus-like qualities of the hops. Gold—Croggy Brett Saison: Funky and doughy yeast cocktails create a spicy funk fest that finishes with a faint but full sourness. All of these beers are available at their respective breweries, with the current exception of Red Rock's Secale. Congrats to all and as always, cheers!